Cardiff may be the UK’s most musical city: in addition to over 30 live music venues, it is home to some incredible music archives – from unique, original compositions and ancient volumes to newspaper cuttings of Tom Jones’ tabloid exploits. To celebrate our diverse music heritage, we invited experts and enthusiasts from all over the city, to share their work and collections, as part of Explore Archives Week. Katherine Whittington joined us next, showcasing what they have in store at Cathays Branch and Heritage Library, which is open to the public and full of resources about the history of Cardiff. Its extensive collection of the Western Mail and South Wales Echo go back to the 1860s – and so provide an incredible insight into how music has been part of south Wales’ social history for generations. For example, these cuttings, about the singer Charlotte Church, give an insight into how young women and celebrity were treated by the press at the turn of the 21st century. In addition to the archives of local choirs and groups, the library holds a quirky collection of CDs by local artists. Anyone interested in delving into their musical collections can use their Performing Arts Resource Guide, available on site, which goes into fuller detail about what there is to discover. Glamorgan Archives’ collections vary from documents from choirs, music festivals, cymanfaoedd and concerts, to beautiful Welsh-language playbills, planning documents for long-demolished music venues and court records regarding the licensing of live music in the city. Highlights included the National Coal Board collection, which shows the musical life of south Wales’ industrial communities, and the Côr Cochion archive, which detail the long history of Cardiff’s famous protest choir. Glamorgan Archives are open to all, and you can find out more about how to visit on their website. Charity Dove is the University’s Music Librarian, and is responsible for building and maintaining the School of Music’s research library. While it is predominantly used by students, it is open to the public to use, and free. Members of the public can use the library to access information about composers, styles of music, instrumental instruction and access their collection of classical repertoire on CD. 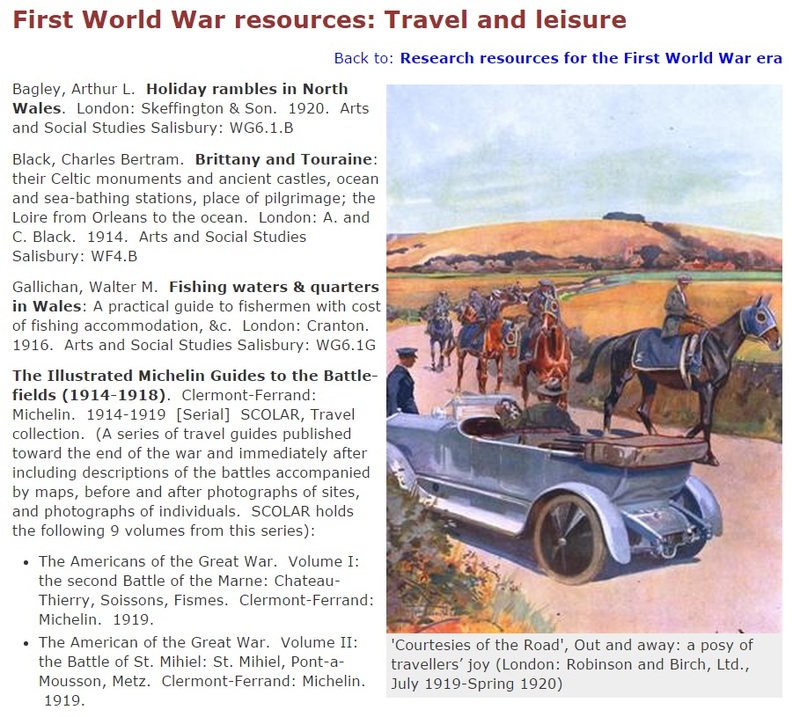 Its collections are dynamic – they reflect the research interests of staff at the University over the years, and so a wide variety of topics is covered in its collections. The library’s catalogue has been designed to make it easy to navigate by composer, and it also holds a number of facsimile copies of important or noteworthy compositions. Eugene Monteith joined us from BBC National Orchestra of Wales, which has its library based in Cardiff Bay. The library, which holds full orchestral scores for hundreds of symphonies and popular music, is for the use of the BBC’s professional orchestras. It was great to hear about a library with a very specific, crucial role to play in the performance and broadcast of music. In addition to full scores, these are some smaller collections of Welsh composers’ work, as well as vocal scores collected over 35 years of hosting Cardiff Singer of the World, and an extensive collection of orchestral soundtrack arrangements. Iori Haugen talked to us about the work of Making Music in Wales. Making Music are an advocacy organisation for people who play music in their leisure time – from brass bands to individual players. While they do not have collections of their own, they administer a vast array of musical scores, by enabling bands and orchestras all across the UK to borrow scores from one another, to learn and perform. This scheme is open to Making Music members. The organisation also campaigns for music education in schools, and promotes playing and performing music for pleasure. Dr Peter Leech was next to discuss his work, researching the Morfydd Owen Archive here at our University Special Collections and Archives, alongside scholar Megan Auld. They have been researching particular compositions by Ms Owen – these were ‘in progress’ when she passed away at 26, and so have never been performed – until now. Dr Leech described the academic and musical process of working with musical ‘sketches’ – unfinished, handwritten notation – and creating performable music. The result of their research will be the debut performance of several works by Morfydd, which until this year, had only been seen by researchers studying individual documents. You can hear these pieces, performed in public for the first time, by joining us at the ‘Celebrating Morfydd’ concert on December 14th. Ethan Davies presented Ty Cerdd’s library. Their collection is concerned with Welsh composers, and is split between Cardiff Bay and Aberystwyth – these collections are open to the public by appointment. The collections in Aberystwyth are of unique composers’ scores, by Grace Williams, Alun Hoddinott and many more – these are cared for by the National Library of Wales. In Cardiff, they hold an extensive collection of recordings and printed material on the theme of Welsh music and composers. Ty Cerdd is an organisation which promotes and celebrates music in Wales – in addition to library sources, they provide advice and support with recording, composing and disseminating music in Wales. Jennifer Evans talked about the collections held in the library of National Museum Cardiff, which is open to the public by appointment. The library’s main musical collections centre around the early life of the National Museum – through scrapbooks kept by founding members of staff, recital programmes and photographs of events. In addition to its institutional archive, the collection of Gwendoline and Margaret Davies is kept at the library, which includers concert programmes and handbills for the Gregynog Festival, which hosted luminaries such as Gustav Holst and Vaughan Williams. Jennifer also mentioned the sound and oral history archive at St Fagans National Museum of History, which houses thousands of hours of social history recordings, mostly made in the 20th century. The folk music collection is an extensive archive of songs sung ‘ar yr aelwyd’ (at the hearth), and were often recorded in people’s homes across Wales. In these, you can hear the regional and musical variations for a huge repertoire of folk songs, ballads and hymns. We hope our roundup has you curious about exploring music archives and collections, wherever you are – don’t forget, you can use archives.wales and the Archives Hub to find out more about what’s going on near you. We’d like to say a huge thank you to all our Explore Archive contributors for coming to share their collections with us – it was a pleasure to hear about the diversity and depth of our city’s music collections. If you’re a musician, producer or performer, and you’d like to attend a similar event in the future – let us know. We’re ready to welcome you here at Special Collections and Archives – so if you’d prefer to visit in your own time, here’s all you need to know: Visiting Special Collections and Archives. Shakespeare is a literary figure who finds himself rather centralised within the canon, with good reason too. His plays have been performed, enjoyed, and firmly cemented in the public’s imagination since they were first written. With this in mind, a Shakespeare text seems an ideal way to begin my series of ‘treasures’ found within Special Collections and Archives, but with an interesting twist – the text is not written by Shakespeare. The play in question is a John Dryden and William D’Avenant adaptation of The Tempest, written 50 years after the original. John Dryden, The tempest, or The enchanted island : A comedy: as it is now acted at His Highness the Duke of York’s Theatre, (London, 1676), title page. Cardiff Rare Books Collection. The second item was written a century afterwards, and is a musical score composed by Henry Purcell, designed to accompany the adapted play. Both texts play a critical role in exploring the culture of co-textuality, and in augmenting each other – as well as being archetypal examples of their rich textual histories. Since this project is founded in co-texts, it seems apt for these to open this series. Henry Purcell, The Music in the Tempest, (London, c. 1760s), title page. Historical Music Collection. Treasure 1: John Dryden, The tempest, or The enchanted island : A comedy: as it is now acted at His Highness the Duke of York’s Theatre (1676). The first item selected is an adapted play by John Dryden (co-author); William D’Avenant (co-author); William Shakespeare (source text author); and Thomas Shadwell (revisions and alterations author). This is a rewriting of Shakespeare’s The Tempest by John Dryden and William D’Avenant and this particular version has consistent adaptations to dialogue, whilst keeping the basic bones of the original plot. The most divergent addition is that of a number of siblings to the original character. These include a sister for Miranda called Dorinda who has never seen a man aside from Prospero (much like Miranda), a man called Hippolito who falls in love with Dorinda, a sister for Caliban, and a girlfriend for Ariel called Milcha. This particular copy is bound in full red morocco leather by Riviere & Son with their stamp in gilt on front turn-in, lettered in gilt on spine. It is in exceedingly good condition for a text of its age and still maintains the ripped page bottoms from its production. It also has a price written in pencil in the inside front cover. This pair could be of particular interest to researchers of Shakespeare texts and the cultural reactions to them, in regards to the comparisons and contrasts between the source text and the adaptations. Whilst a performance would garner more appeal and give a new cultural life to the texts in the public sphere, as the Dryden adaptation has fallen from the general public periphery. Moreover, with the emphasis of Shakespeare in the Secondary School national curriculum, this pair would be ideal for exploring the impact of Shakespeare in the literary world. Dryden, The tempest, or The enchanted island, (1676), page detail. I chose this play as the first ‘treasure’ for two reasons. Firstly, as a Shakespeare play, it represents a vital part of the literary canon. The importance of its relation to the canon comes down to the perception and reception of it, as it remains an item which the public link intrinsically with literature, and a text which still inspires much debate in the academic world. The idea of a university archive presenting a particular Shakespeare text may seem predictable (and with reason, as the canon remains critically acclaimed and worthy of exhibition). However, and this brings me to my second reason; this is not a play authored by Shakespeare himself, but a revised version by John Dryden and William D’Avenant. The inter-textuality, to be clear, is what I find to be so deeply stimulating about this text. Whilst being an isolated text in its own right, it also has a rich inter-textual history with the original and represents a cultural response to the original play. In addition, the item has revisions and alterations which evokes a sense of a constant and unending co-textuality. It is, in my opinion, an item which represents the very heart of literary revisionism and inter-textuality in a micro-cosmic manner. ‘Treasure’ 2: Henry Purcell, The music in the Tempest (1786). This ‘treasure’ is a musical score created to accompany Dryden and D’Avenant’s play, The tempest, or The enchanted island : A comedy. The score consists of several pieces from the second act onwards. Two of them are specifically for Ariel’s scenes, suggesting a certain ethereality to the intended sound. The music was written with multiple lines of harmonies and melodies, indicating that several instruments may have been required for its original performances, possibly played in an orchestral style. This particular score was printed for Messrs. Longman and Broderip, and sold at their Music-Shops, in Cheapside at the Hay-Market, Paper dimensions: 332 x 233 mm. With a pasted label over imprint, partly visible: ‘LEIGH and SOTHEBY’S, Booksellers, in York-Street, / […] following Music-shops, Messrs. BIRCHALL / […] and Mr. BREMNER’S, in the’., Half-bound in calf leather over marbled paper-covered boards; pasted cover label in gilt: ‘THE TEMPEST’., from the BBC Music Library in the Historical Music Collection at Special Collections and Archives, with the stamp of the BBC, as well as the pencil annotations on front pastedown: ‘Mrs. Edw. Charrington’ and flyleaf: ‘12.2.82. P. Wood Ret. Music Librarian’, and the manuscript annotations on flyleaf: ‘J. Nicholls. 1793’ and at head of title page: ‘Mrs. Nicholls 7th June 1786’. It could prove particularly fruitful for researchers into inter-textuality in Shakespeare, music students, with the potential for cross-university or school projects, as well as musical history scholars. Purcell, The Music in the Tempest, (c. 1760s), composition detail. Historical Music Collection. This particular ‘treasure’ was selected in conjunction with the first due to the continuing theme of its deeply intertextual nature. As a text, it is written for performance alongside another text –the adapted play The tempest, or The enchanted island: A comedy. When combined the two texts inform, augment, and illuminate each other. It is even more interesting in the esoteric nature of it as the physical composition of it is to include singing parts of Milcha – a character which only exists in the D’Avenant/Dryden adaptation. The addition of lyrics in the score accentuates a deeper textual layer to the texts and their intertextuality. They were written a century apart, but produced to be performed in unison. In this literal pairing, it only seems fitting that what history has split into two separate ages, formats and authors, should be brought back together as was originally intended. Eat, Drink, and be Fairy! I know it’s been a while since my last post, and you’d be forgiven for thinking that I’ve dropped off the face of the stacks – always a potential hazard given my ladder climbing skills. However fear not, the ladder is still in one piece. The real reason for my online silence of late is not because I have been trapped under an avalanche of books or lost in the valley of incunabula, I have, rather… been away with the fairies. What the devil is all this about then, you may ask? Well, it’s less about the devil and more about those ambiguous beings who are often tarred with the same brimstone brush – the fairies, or the ‘tylwyth teg’ (the fair family) as they are commonly known in Wales. In south Wales the common term for the fairies is Bendith eu Mamau (Their Mothers’ Blessing), so-called because of their blessing, or bringing good luck to those whom they favoured or showed them kindness. If they were offended or mistreated by humans then they would inflict various punishments, some quite severe, and they reputedly stole new born babies from their cradles and replaced them with their own ugly offspring known as changelings. Hugh Evans, Y Tylwyth Teg, (Liverpool, 1935. Illustration of the fairies stealing a baby, by T. J. Bond. Fairies were believed to be secretive people who lived in caves, hollows, or ‘sepulchral mounds’, with supernatural powers that enabled them to hear what was spoken in the air and whisk people away on otherworld adventures. The popular belief was that the fairies had whisked the clergyman and poet Ellis Wynne (1671-1734) to the top of Moelfre Mountain and taken him on a supernatural journey through the world. This belief was expressed by the Bard himself, who described how they ‘lifted me on [to their] shoulders, like [a] knight; and away we went like the wind over houses and territories, towns and kingdoms, and seas and mountains’. This supernatural stigma and secretive lifestyle no doubt stemmed from their somewhat shady origins. Some believed they were the souls of Druids who, not being able to enter heaven and too good to be cast into hell, were condemned to exist in limbo. Scottish fairy-lore also sees the fairies as followers of the devil who tried to get into heaven when they saw hell, but found the gates locked and so they settled in the mounds between heaven and hell. 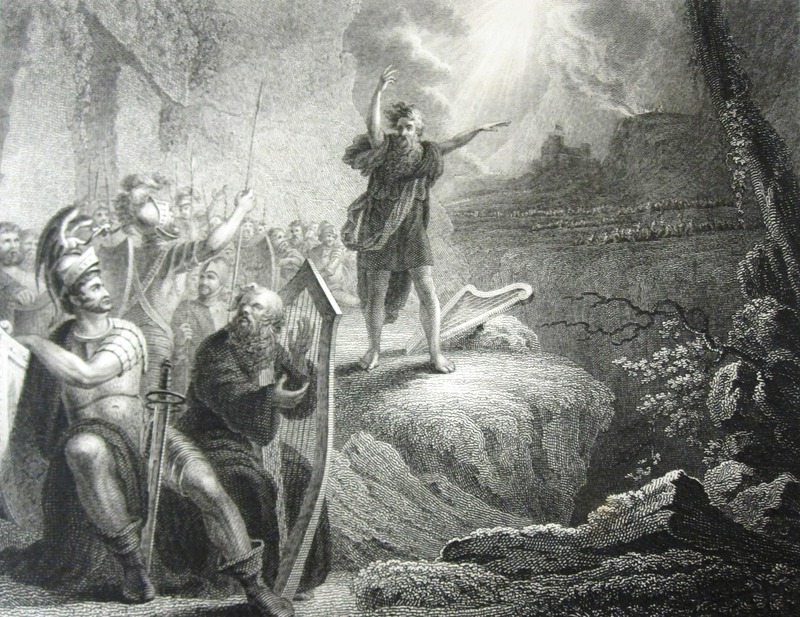 Interestingly, in Welsh folklore Gwyn ap Nudd, a mythical and slightly magical figure from medieval Welsh literature, is regarded as the King of the Fairies and ruler of Annwn – the ‘otherworld’. Indeed, many Welsh observers believed fairies to be spirits or demons with supernatural powers. The Puritan Charles Edwards (1628-1691) describes them as neighbourly ‘devils’ who appeared as a ‘visible troop’ to drag people away to their merriments, while Edmund Jones (1703-1793) was also convinced that fairies were ‘evil Spirits belonging to the Kingdom of Darkness’, while others regarded them as apparitions or spirits of the dead who were conjured by magical practitioners or cunning-folk. These themes, and many more are explored in our current exhibition – Neighbourly Devils which runs until the end of March 2018. Ok, I’ll admit this may not be quite the jolly-festive post you were expecting at this time of year, but fear not, I have it on good authority (that of the Reverend and antiquarian Elias Owen, 1833-1899 to be precise), that no evil spirit can appear on Christmas Eve. Besides, there is another jingle to these fairy bells, for these mischievous folk were also very fond of a good old knees up and a sing-song, and not just for Christmas. They were known to have an enchanting, musical voice that was designed to steal people away with them. This so happened to a farmer’s daughter named Shui Rhys, who was so captivated by the fairies who ‘talked to her in a language to beautiful to be repeated’, that she was eventually ‘carried off’ with them, never to be seen again. Tales of fairy circles and their love of dancing and colourful dress are rife in Welsh folklore. Edmund Jones the ‘Old Prophet’ of Pontypool, recorded many instances where fairies were seen dancing and prancing about in their unique attire. Rees John Rosser, for example, heard fine music coming from near his barn and saw a large company come into the floor of the barn with striped clothes, ‘and there danced to their music’, while a young girl of Trevethin on hearing their pleasant music went to dance with them, and described how they were dressed in ‘blue and green aprons’. Wirt Sikes, British Goblins: Welsh folklore, fairy mythology, legends and traditions, (London, 1880), illustration of Shui Rhys and the fairies, by T. H. THomas. Such good fairy cheer does indeed put me in mind of other Welsh Christmas and New Year traditions, such as the plygain – the traditional carol service sung at dawn on Christmas morning, while in the run-up to the service people would gather to decorate the house and sing and dance to harp music. Or the Mari Llwyd (strangely, I know, but listen up) since this famous New Year custom which was prevalent in south Wales, involves a horse’s skull draped in a white sheet and decorated with ribbons and bells which is then carried by a group of men around the local area where they seek to gain entry into the houses through the medium of song or rhyme. The householder is expected to deny entry, also through song, and so this repartee continues until the Mari Llwyd is granted entry and the group are given food and drink. Such was one way to ‘see the Old Year out and the New Year in’. Others marked the occasion, very much like the tylwyth teg, by singing and dancing all night, some by drinking and feasting – some things never change eh?! Staying with the singing for just a note longer, yet another tradition which has since died out was that of the Apple Gift, where children would go from door to door on New Year’s Day bearing apples or oranges curiously decorated, and singing good wishes for the New Year in the hope of receiving some monetary gifts. Wirt Sikes, British Goblins, (1880). New Year Apple gift, illustration by T. H. Thomas. And just as the fairies appreciated a little food or drink left out for their visits, I mean who doesn’t (yes, we know that mince pie and shot of whisky is not really meant for Santa), these customs were often designed to ensure a little good luck for the coming year, as well as having a good old jig! And so the moral of this blog post is, well, it’s quite simple really – eat, drink, and remember to be fairy responsible. So from all of us here at Special Collections and Archives, a fairy Merry Christmas and a Happy New Apple to you all. Until I discovered a copy of Anatomical and mechanical lectures upon dancing: wherein rules and institutions for that art are laid down and demonstrated. (London, 1721). Ok, so maybe I should think twice before I twerk. John Weaver, Anatomical and Mechanical Lectures Upon Dancing, (London, 1721), title page. This book, I’ll have you know, was written by John Weaver (21 July 1673 – 24 September 1760), an English dancer and choreographer often regarded as the father of English pantomime. Weaver was born in Shrewsbury where he worked as a dance teacher, like his father, who suggested he go to London and become a ballet master. Working mainly at the Drury Lane Theatre, Weaver soon became a specialist in comic roles and created the first English pantomime ballet, the burlesque Tavern Bilkers (1702). This was his first choreographic work where he incorporated commedia dell’arte characters such as Harlequin and Scaramouche. Scaramouche? As in ‘Scaramouche, Scaramouche, will you do the Fandango’? The very Bohemian one (thank you Freddie), generally a stock clown character of the commedia dell’arte, a particular Italian theatrical form that flourished throughout Europe from the 16th to the 18th centuries. The role of Scaramouche combined characteristics of the zanni (servant) and the Capitano (masked henchman). Usually attired in black Spanish dress and burlesquing a don, he was often beaten for his boasting and cowardice by Harlequin – another key commedia dell’arte character, known by his chequered costume and his role as the light-hearted and astute servant constantly trying to outwit his master and pursue his own love interest. Weaver included these two characters in his ballet at a time when dance was generally seen as a form of amusement but for Weaver, the art of dance was something far more substantial and artistic. 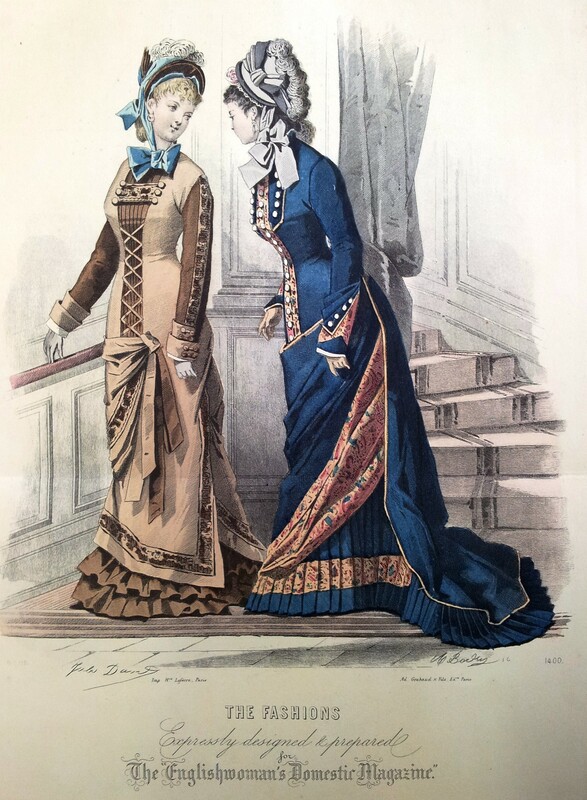 Harlequin, Masques et Bouffons: Comedie Italienne (1862). In his celebrated work, The Loves of Mars and Venus (1717), he combined themes from classical literature with the dramatic elements that characterised Italian pantomime and English dance, so the story was conveyed through gesture and movement rather than any spoken or sung explanation. Weaver was one of the first choreographers to develop dance so that it performed a dramatic and expressive role rather than a simple comic and decorative one, and because of his attempts to use emotion and plot as opposed to complicated technical and speech methods, he is seen as a huge influence on later choreographers such as Gasparo Angiolini, and in particular the French dancer and ballet master Jean-Georges Noverre (1727-1810). Like Weaver, Noverre would later react against the ornamental function of ballet, believing that dance movement should also reflect its action. Weaver’s writings on dance are also hugely significant. Published in 1706, Orchesography was the first English translation of the French choreographer Raoul-Auger Feuilllet’s Chorégraphie, and included the most common dance notation system of the time, thereby enabling the introduction of a consistent standard of dance throughout England (something akin to the ‘Macarena’ of the 90s I wonder)? In An Essay Towards the History of Dancing (1712), he documented the history of dance whilst arguing for its recognition as a means of expression and a sign of social accomplishment. Weaver was also the first dance teacher to insist that dance instructors should have a thorough knowledge of anatomy in order to best use the body as a tool of expression. Hence his Anatomical and Mechanical Lectures upon Dancing were aimed at ‘introducing the Art of dancing among the liberal arts and sciences’, at a time when ‘the Art of Dancing is arrived at so great an Excellence’. A knowledge of anatomy he argues, may ‘not be well relish’d by the Masters in Dancing at first view’, but on further consideration they will come to recognise its great use towards the following discourse on the ‘Proportion and Symmetry of Parts’, and the ‘Mechanical Parts’ of the body, all of which he maintains are the ‘fundamentals of our profession, so they deserve, nay, require, our utmost observation’. Extract from the preface of John Weaver’s, Anatomical and Mechanical Lectures upon Dancing, (London, 1721). Dance details from 10 favorite cotillions, 8 country dances and two minuets, with their proper figures as perform’d at the Prince of Wales’s Willis’s Rooms, (London, 1784). Dancing instructions for The Balloon, 10 favorite cotillions, 8 country dances and two minuets… (London, 1784). With International Dance Day upon us tomorrow (as well as Jean-George Noverre’s birthday), remember what Weaver says as you throw out your best moves, whether it’s the Charleston, the Twist, or the Chicken Dance: ‘Attitude is a posture, or graceful disposition of the body’. And so the moral of this blog-post is, sometimes even the old books can make you lose yourself to dance. Happy dancing people! There is a noticeable spring in my step. Whether this is because spring may well be in the air, or a seasonal side-effect of the recent Welsh Santes Dwynwen Day followed by the Roman St Valentine – whichever floats your roses – I am definitely more buoyant. And with another famous Saint’s day looming, my sense of hwyl is blooming along with the daffs. I’m no match for Wordsworth, clearly, but wandering lonely through the stacks, I gazed and gazed until my thoughts turned to our patron saint. Dewi Sant, as he is known in Welsh, was born at Mynyw, which was named St. David’s after his death on the 1st of March, c. 589. 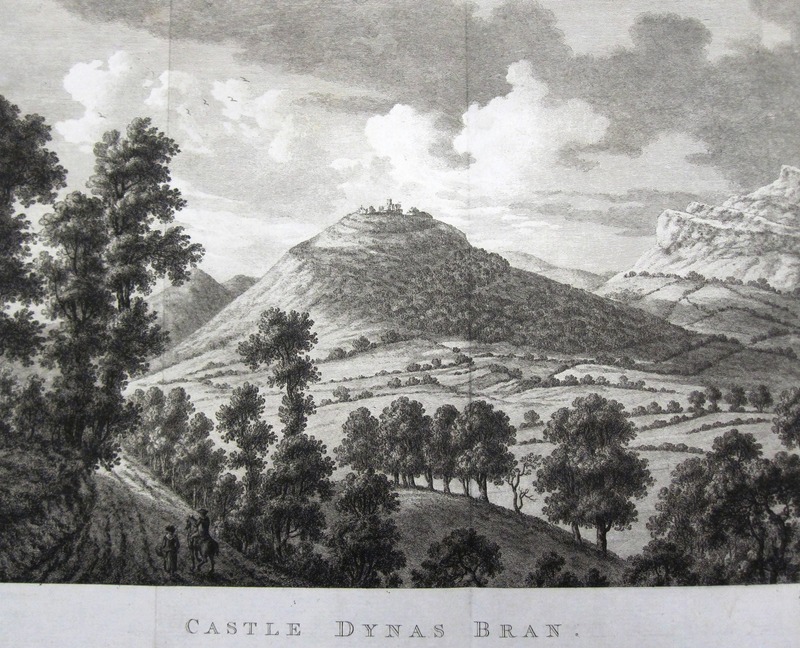 Image from Richard Fenton’s, A Historical Tour Through Pembrokeshire, (London, 1811). St David, S. Baring Gould, The Lives of the Saints: Vol. 3, (Edinburgh, 1914). For those of us who went to school in Wales, our Welsh costumes may well be our most residing memories of St. David’s Day. These articles of Welsh couture were so vital to this cultural event that they had to be specially ordered and collected from the local couturier, Dame Du-ôr, famous for her millinery and brethyn designs for young and old since the Battle of Fishguard in 1797. J’adore a bespoke bonnet, though I always felt the boys missed out with their simple felt-pinned leeks. Shame the brethyn couldn’t stretch to some short trousers. 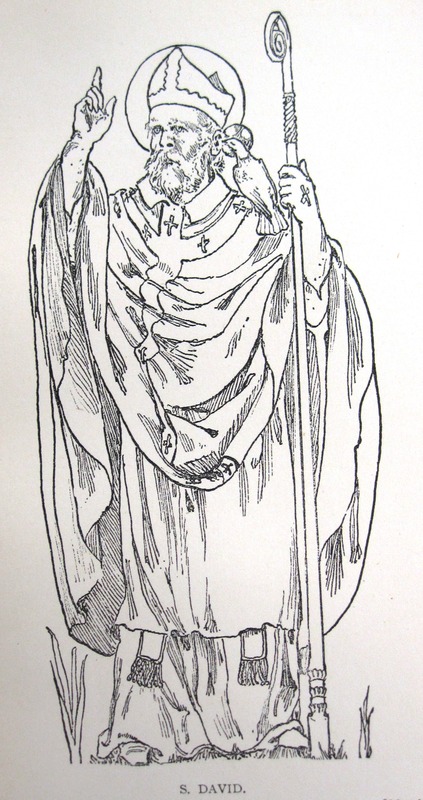 Style aside, most of what we learned of our patron saint was gleaned from Buchedd Dewi (Life of David), written by Rhygyfarch, Bishop of St. David’s during the late 11th Century. A renowned teacher and preacher, Dewi naturally commanded his fair share of miracles, the most famous occurred as he was preaching at the Synod of Brefi, when the ground suddenly raised up beneath him so that he could be better heard amongst the crowd, and a white dove descended on his shoulder. Today, the church of Llanddewi-Brefi marks the very spot. For me, however, the most enduring element of Dewi’s story was the fortitude of his mother, Nonnita, or Saint Non. A local lord, on hearing of her pregnancy and the predictions surrounding the mystical powers of the child, plotted to have him killed at birth. But on the day of her labour, a great storm raged making it impossible for anyone to go outside. Only the place for child-bearing remained calm, bathed with a serene light. 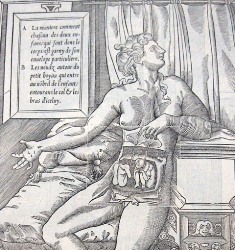 It is said that Non’s pain was so intense that as she grasped the rock on which she rested, her fingers marked the stone as if they were impressed in wax, and the rock, in sympathy with her, split in two, one half leaping above her head and the other at her feet, protecting her at the moment of birth. Not even a Queen Bey can top that! (Yes, Beyoncé, you heard me). This got me thinking of another single lady in popular Welsh legend. Known by her poetic name: the Maid of Cefn Ydfa, Ann Maddocks (neé Thomas, 1704 – 1727), was the daughter of William Thomas of Cefn Ydfa, Llangynwyd, Glamorgan, and his wife Catherine Price, aunt to the Welsh philosopher and preacher, Richard Price (1723-1791). An interesting character in his own right, Richard was a champion of liberal causes at home and abroad, in particular the American war for independence and the equality of women. He was a close friend of Benjamin Franklin and Thomas Jefferson, and Mary Wollstonecraft, who attended his services in Newington Green. It was through Price that Mary came into contact with the radical publisher Joseph Johnson, and her Vindication of the Rights of Woman (1792) was influenced by Price’s own arguments on equality for women. ‘Wil Hopcyn singing one of his chosen songs at Cefn Ydfa’, from the novel by Isaac Hughes, Y Ferch o Gefn Ydfa, (Cardiff, 1881). Oh, but I digress with a smooth-talking Welsh philosopher! I’m sure I’m not the first nor the last, but we shall have to meet again in a future post for I was telling you about his fair cousin, Ann. Following the death of her father, Ann was placed in the wardship of a local lawyer named Anthony Maddocks, and later forced to marry his son, also named Anthony. According to tradition, Ann was in love with a local farm labourer and bard named Wil Hopcyn. 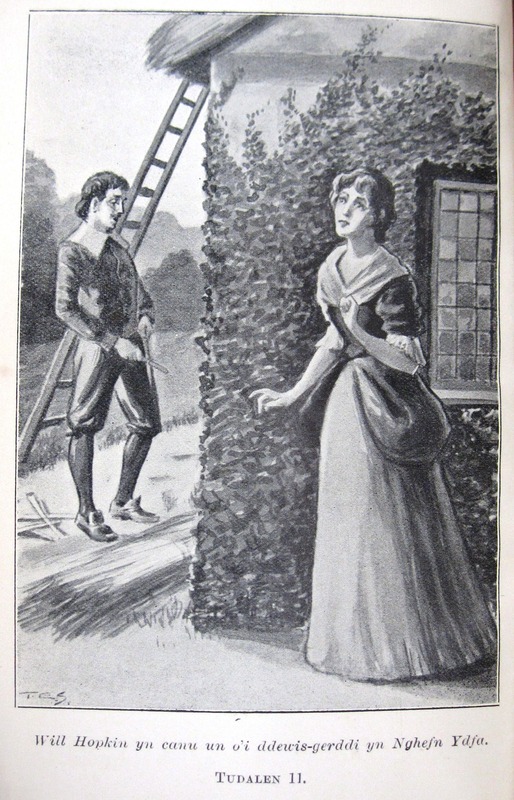 When this was discovered they were forbidden to see each other, and Ann was confined to her chamber as the match between her and Anthony was arranged. They continued their courtship by writing secret letters to each other which Ann’s servants would place in the hollow of an old tree near the manor of Cefn Ydfa for Wil to collect and then place his own. This stratagem was soon discovered by Ann’s mother, who confiscated her writing materials. So in love was Ann that it is said she wrote to Wil upon a sycamore leaf, with a pin dipped in her own blood. But alas, it was not meant to be, and Wil left Llangynwyd shortly after Ann’s enforced wedding took place on the 4th of May, 1725. It was a firmly held belief that one night during his absence, Wil had a dream that Ann’s husband had died, and returned to Llangynwyd the following morning. But on his return, he discovered that it was in fact Ann who was dying, having pined so desperately for her true love that she had fallen gravely ill. Hearing of his return, Ann’s mother and her husband sent for Wil in the hope that he would alleviate Ann’s suffering. Tradition claims that she died in his arms that very day. Wil never married, and died in 1741. Both he and Ann are buried at Llangynwyd Church. 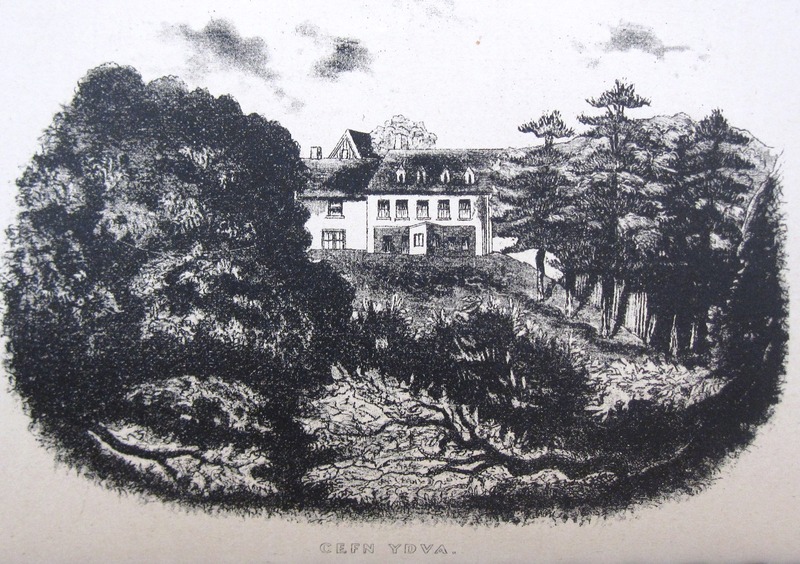 The house of Cefn Ydfa, T. C. Evans (Cadrawd), History of Llangynwyd Parish, (Llanelli, 1887). Now don’t be too downhearted people, for this is the way many a Welsh love story of old goes, and it doesn’t end there, for in true Welsh style we have poetry, song, and literature to commemorate the tale. 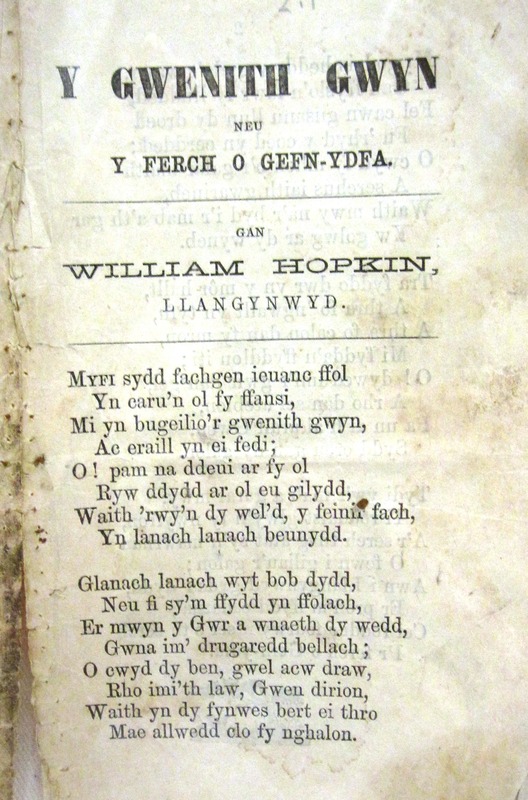 William Hopkin, ‘Y Gwenith Gwyn’ (The White Wheat), Welsh ballad from the Salisbury Collection. The collier and novelist Isaac Hughes (1852-1928) published his novel, Y Ferch o Gefn Ydfa, based on the story in 1881, while traditions surrounding the tale were judiciously recounted by the antiquary T. C. Evans, better known as Cadrawd, in his History of Llangynwyd Parish in 1887. Furthermore, Bugeilio’r Gwenith Gwyn (Watching the White Wheat), is one of Wales’ best known folk songs, attributed to Wil himself, it supposedly captures the tale of their tragic love affair. They also formed the basis of the opera written by one of Wales’s most famous composers, Joseph Parry. Parry was offered a chair at Cardiff University in 1888, and The Maid of Cefn Ydfa was performed at the Grand Theatre in Cardiff in 1902. His composition Blodwen, was the first Welsh-language opera, yet he is best known for his work Myfanwy, yet another song supposedly based on a tale of young love! It is a favourite piece of many a male voice choir, and I can confirm that this is indeed the best way to hear this beautiful melody. 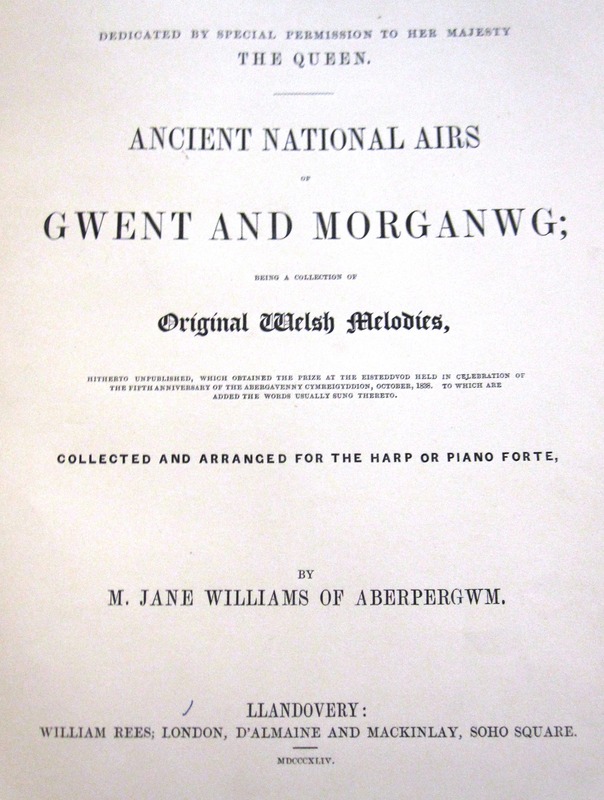 Maria Jane Williams, Ancient National Airs of Gwent and Morganwg, (Llandovery, 1844). 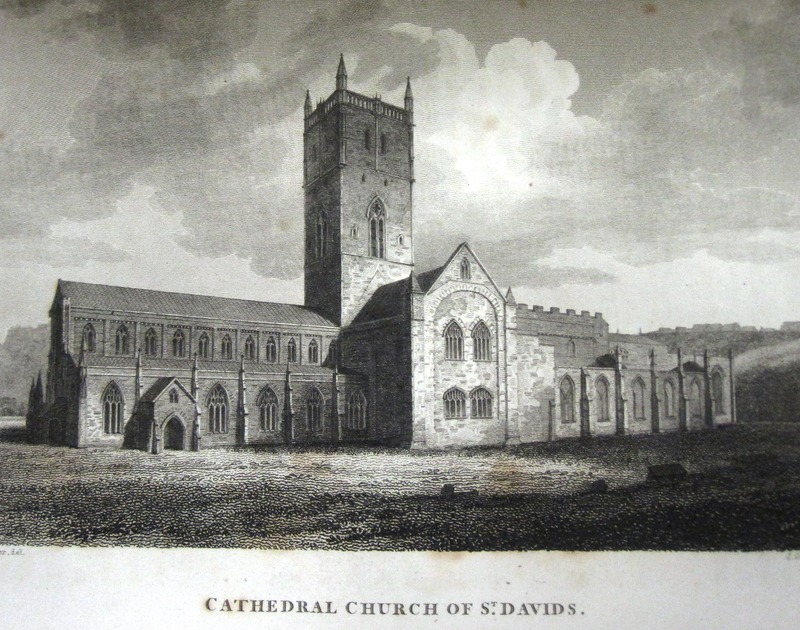 Saints and choirs were always a given for St. David’s Day, yet behind all of these accomplishments lies the feats and fortitudes of some remarkable women. So as Queen Bey herself would say, put your hands up for Non, Mary, Ann, Maria and of course Dame Du-ôr, and never, ever underestimate the statement a song, a saint, or a well fitted bonnet can make. Dydd Gwyl Dewi Hapus pawb. And don’t forget, if you’d like to hear more about the history of women in our collections, join us on March the 8th to celebrate International Women’s Day. Frances Burney (1752-1840) was one of the most successful and influential writers of the eighteenth century, publishing four novels (Evelina: or, the History of a Young Lady’s Entrance into the World (1778); Cecilia: or, Memoirs of an Heiress (1782); Camilla: or, A Picture of Youth (1796); and The Wanderer: or, Female Difficulties (1814), which were immensely popular and influenced other writers including Jane Austen (1775-1817). 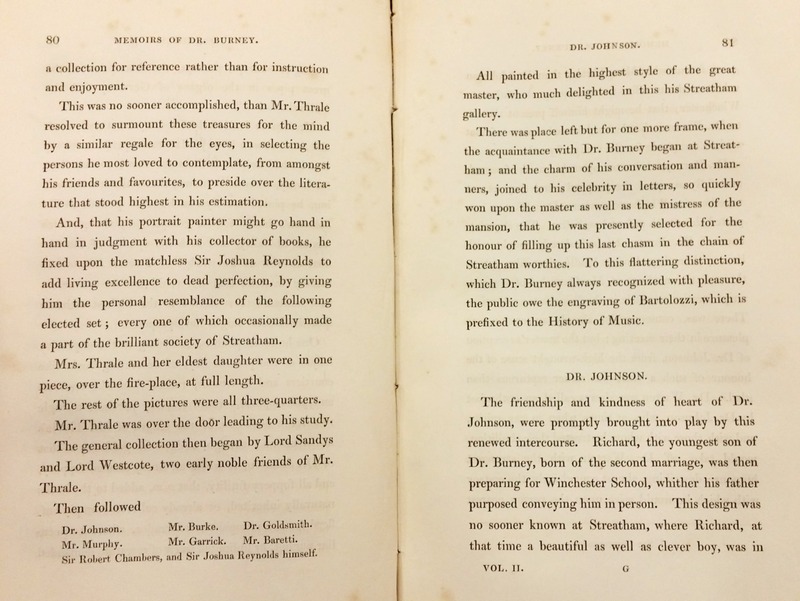 In recent years, scholarly interest in Burney has widened to encompass the influence and activities of the rest of her remarkable family, which included musicians, sailors, classicists, artists and two other successful novelists. Between them, the Burneys knew most British luminaries of the late eighteenth and early nineteenth centuries working in the fields of literature, art, music, politics, botany, exploration, and court and Church circles. A symposium held at Cardiff University on 1 September 2015 considered the Burney family as a composite whole, asking how their sociable network and often tumultuous internal dynamics influenced the remarkable spate of cultural and sociable activity carried out by its polymathic members. This exhibition of rare print and visual material relating to the Burney family and circle was designed and curated by Dr. Sophie Coulombeau (School of English, Communication and Philosophy) and Alison Harvey (Special Collections and Archives) to complement the symposium. Many members of the Burney family and their social circle achieved fame or notoriety in their own day, as writers, artists, or musicians… or socialites with scandalous love lives. This section explores visual and textual depictions of Frances Burney, her father Dr. Charles Burney (1726-1814), and the family friend – and later enemy – Hester Piozzi (1741-1821). Some were composed by the subjects themselves or with their permission; others devised by those closest to them after their deaths; and still others produced by perfect strangers exploiting their celebrity for commercial gain. 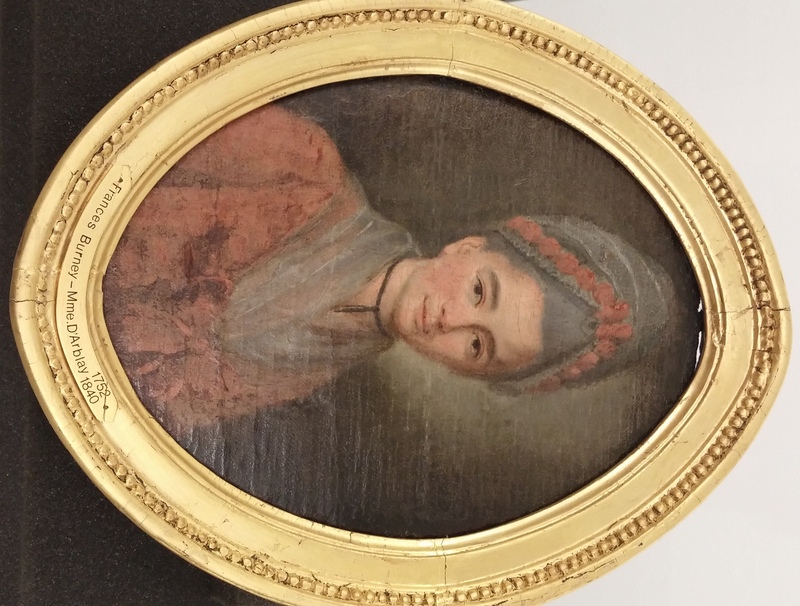 Dr. John Butterworth, an independent scholar, has kindly lent us an anonymous, undated portrait of a young woman identified on the frame as Frances Burney. An art historian and conservator have suggested that the portrait dates from the last quarter of the eighteenth century, and the hairstyle of the sitter (the so-called ‘pouf’, which was fashionable only in the second half of the 1770s) suggests a date from 1775-1780. If the sitter was Burney, it would therefore have been painted just before, or just after, she wrote and published Evelina. Some attendees at the symposium felt that Dr. Butterworth made a persuasive case for the identity of the sitter as Burney. Others were more sceptical, and pointed out that there is no reference to the portrait in her journals and letters: conversely, when she had her portrait taken later in life, she complained about the process bitterly. It was also pointed out that the inscription on the portrait almost certainly dates fro the twentieth century. However, it should be noted that Burney’s journals and letters were twice heavily censored; and also that a modern inscription may well have replaced an earlier one. 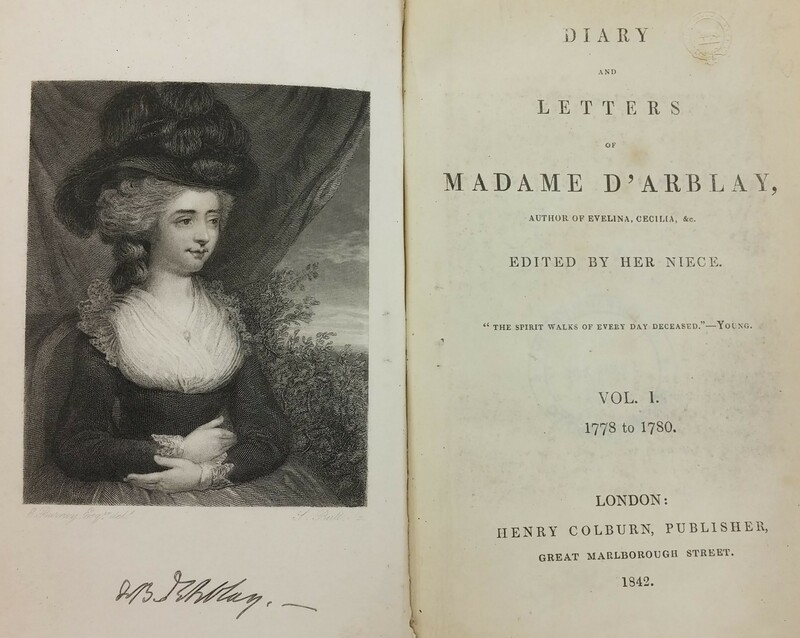 Frances Burney, Diary and Letters of Madame D’Arblay, as edited by her niece Charlotte Barrett, 7 vols. (London: Henry Colburn, first edition, 1842-47). This was the first published edition of Frances Burney’s Diary and Letters, which today stretches to over twenty volumes. This edition (severely edited by both Frances Burney and by her niece Charlotte Barrett to exclude any verdict on acquaintances that might be seen as offensive, and to excise any mention of incidents that might reflect badly on the Burney family) was a more modest seven volumes. Even after this censorship, the diaries provide a fascinating insight into life in Georgian England and France. 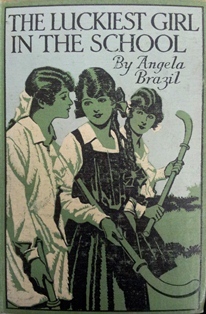 The edition was influential in setting the direction of Burney’s critical reputation: for most of the nineteenth and early twentieth century, she was seen as a talented diarist rather than an important novelist. These volumes belonged to Arthur Henriques: an inscription suggests they were a gift from his mother in 1878. The edition is notable for an interesting selection of frontispiece portraits used to illustrate the seven volumes: sitters include Burney herself, Hester Thrale, Queen Charlotte, Mary Delaney, General D’Arblay, Dr. Charles Burney and Germaine de Stael. From this selection of Burney’s acquaintance, we can glean an idea of the figures that Barrett’s publisher thought most likely to interest the readership. Hester Lynch Thrale was Frances Burney’s dearest friend in the early 1780s. The two fell out in 1785 over Burney’s disapproval of Thrale’s second marriage (soon after the death of her husband) to the Italian Catholic music master Gabriel Piozzi. The marriage scandalised polite society, and Hester Lynch Piozzi achieved a reputation as a woman unable to control her passions, or to put her duties as a widow and mother above her ‘unfeminine’ lust. She steadily built up an impressive career as a poet, biographer and travel writer. But the whiff of scandal never deserted her; during old age, she conducted a close and ambiguous friendship with the young actor William Augustus Conway, who was fifty years her junior. This edition of some of her letters to him – styled ‘Love Letters’ – was published after her death by an anonymous editor. Like Barrett’s Diary and Letters of Burney, this edition is illustrated with thirteen portraits, with the following subjects: ‘Mrs. Thrale’, ‘A. Murphy’, ‘Dr. Johnson’, ‘Madame d’Arblay’, ‘Urn to Dr. Johnson’, ‘Mrs. Thrale’, ‘Mrs. Kemble’, ‘Cowper’, ‘Bath (view of)’, ‘Rousseau’, ‘Duke of Kent’, ‘Duchess of Kent’, ‘Mrs. Piozzi’. 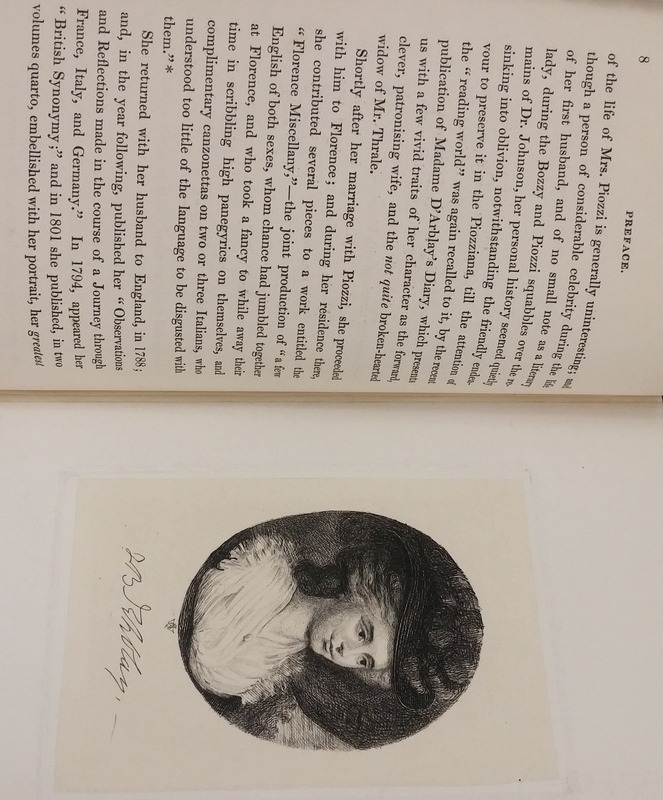 Frances Burney, Memoirs of Dr. Burney (London: Edward Moxon, first edition, 1832). Frances Burney’s father, the historian of music Dr. Charles Burney, died in 1814. She would live on for another twenty-nine years, most of which time she spent writing her beloved father’s Memoirs. The result, published in 1832, was the most critically reviled of all Burney’s works. John Wilson Croker (1780-1857), writing in the Quarterly Review, accused her of distorting her father’s memory in order to draw attention to her own achievements. Some modern scholars feel that he had a point: Dr. Cassie Ulph (York), speaking about the Memoirs at our symposium, said: ‘The real narrative of Memoirs of Doctor Burney is that of [Frances] Burney’s own literary career, and genius.’ In writing her father’s life, Burney was really writing her own. The Burney family were extraordinarily talented networkers. Throughout their lives, their literary, musical and artistic gifts helped them to assimilate into the social circles of people more wealthy and powerful than themselves, and to meet fellow men and women of letters. The most important of these groups, in the 1770s and the 1780s, was the Streatham Circle of the rich brewer Henry Thrale and his wife Hester, where Dr. Samuel Johnson (1709-1784) was the star attraction. A more minor connection – but an important one for Frances Burney – was the ‘Cantab’ circle of the Cambridge family at Twickenham. This section of the exhibition showcases some early editions of writings by members of these two groups, showing how deeply the Burney family embedded themselves, throughout the 1770s and 1780s, within the metropolitan literary elite. 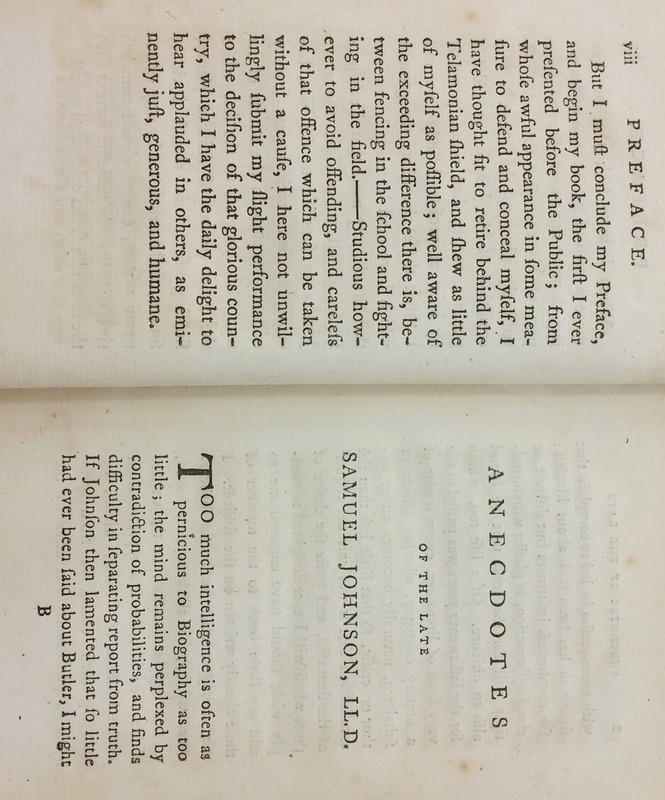 Hester Lynch Piozzi, Anecdotes of the late Samuel Johnson LL.D during the last twenty years of his life (London: T. Cadell, second edition, 1786). In the wake of her scandalous second marriage, Hester Piozzi embarked on a project: to publish a book of Anecdotes of the recently deceased literary lion Dr. Samuel Johnson, who had been her close friend before they fell out over her marriage to Piozzi. The Anecdotes were published by the reputable publisher Thomas Cadell, and sold like wildfire. They were strongly criticised by friends of Johnson (such as James Boswell (1740-1795)) who thought that Piozzi had painted Johnson in an unflattering light. The inscription suggests that this copy was owned by William Ingham. 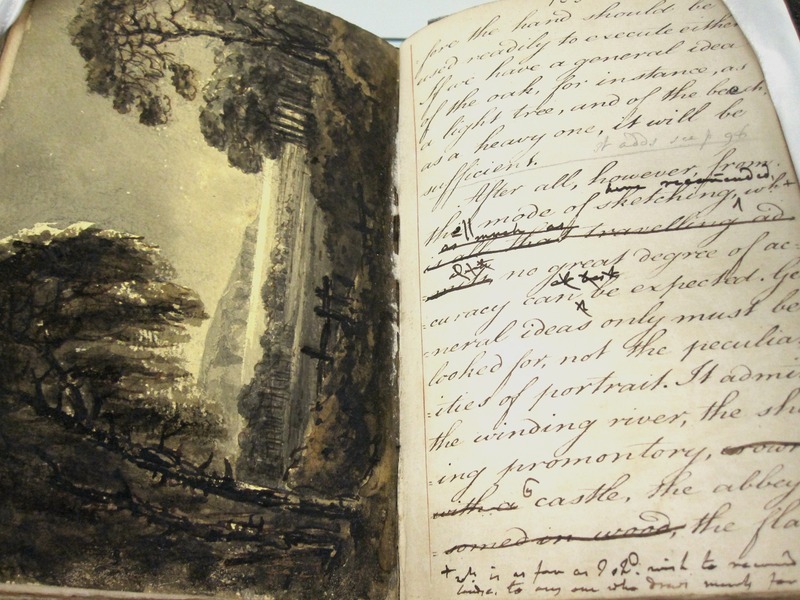 A handwritten note at the back of the volume marks passages of particular interest to the owner. 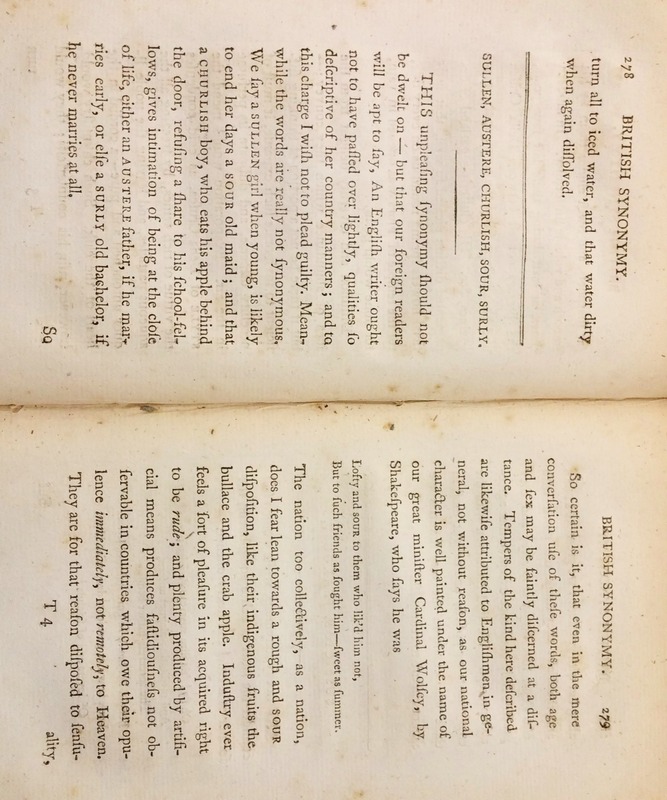 Hester Lynch Piozzi, British Synonymy; or, an attempt at regulating the choice of words in familiar conversation, 2 vols (London: G.G. and J. Robinson, first edition, 1794). In 1794, Hester Lynch Piozzi published a two-volume work of synonymy, a relatively new field; her innovative publication was preceded only by the Rev. John Trusler’s The Difference Between Words Esteemed Synonymous (1766). The book was popular and immediately ran into a further two editions. The editors of Merriam-Webster’s Dictionary of Synonymys (1984) note that Piozzi ‘frequently takes issue with Dr. Johnson or, in a sprightly manner, casts doubt on his judgments’: perhaps we might see this work of lexicography as Piozzi’s attempt to throw off the shadow of Johnson’s influence. If so, then she was unsuccessful, at least for the owner of this copy: the title-page of vol. 1 is annotated in a pencil hand: ‘Hester Lynch Piozzi’ is changed to ‘Mrs. Thrale – vide Johnson’. (Mrs. Thrale – see Johnson’). During the 1780s, Frances Burney became friendly with the Cambridge family of Twickenham. Richard Cambridge (1717-1802), a man of letters who published this volume in 1762, was the first to welcome her into their home. Eventually, however, his son George (1756-1841) became far more important to Burney: her manuscript letters reveal that she had strong romantic feelings for him, and believed them to be returned. But George Cambridge never proposed marriage. One of our speakers at the symposium, Professor Stewart Cooke (Dawson College), gave a fascinating insight into Burney’s misery and suspense over the mid-1780s as she realised that George Cambridge was a lost cause and tried to extract herself from a hopeless situation. Edmund Burke, Reflections on the Revolution in France, and on the proceedings in certain societies in London, (London: J. Dodsley, fourth edition, 1790). The philosopher and politician Edmund Burke (1729-1797) was one of the most regular visitors at Streatham, and a close friend of Charles Burney. Moreover, he provided literary mentorship to Frances Burney after the publication of Cecilia in 1782, sending her a warm letter full of compliments and thanking her ‘for providing instruction’. 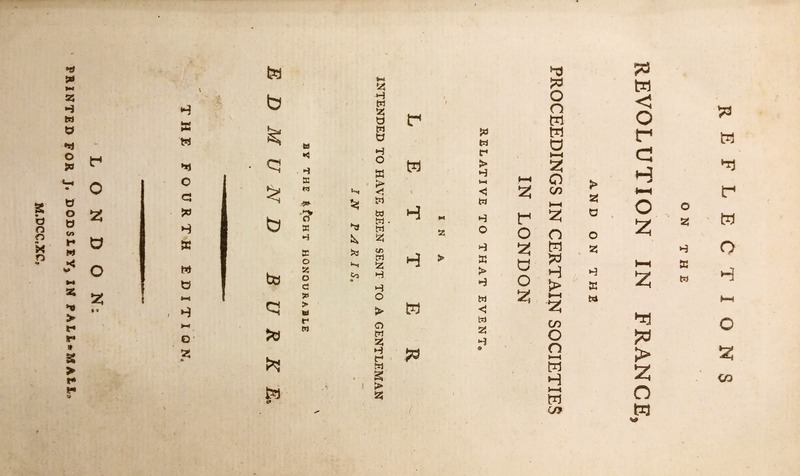 Perhaps Burke’s most important work was his Reflections on the Revolution in France, a pamphlet published in 1790 reviling the action of French revolutionaries and British sympathisers, and arguing for the preservation of ancient traditions. He sent Charles Burney a copy of the first edition: Burney wrote of his ‘infinit eagerness and delight’ upon reading it, and promised: ‘this copy I shall deposit among my most precious literary possessions’. This volume of the fourth edition appears to have belonged to Isabella Metford, and is inscribed ‘May 1866’. Charles Burney, A General History of Music, from the earliest of ages to the present period, 4 vols. (Vol. 1 London: Printed for the author, second edition, 1789; vols 2-4 London: J. Robson and G.G. Robinson, first edition, 1782-1789). 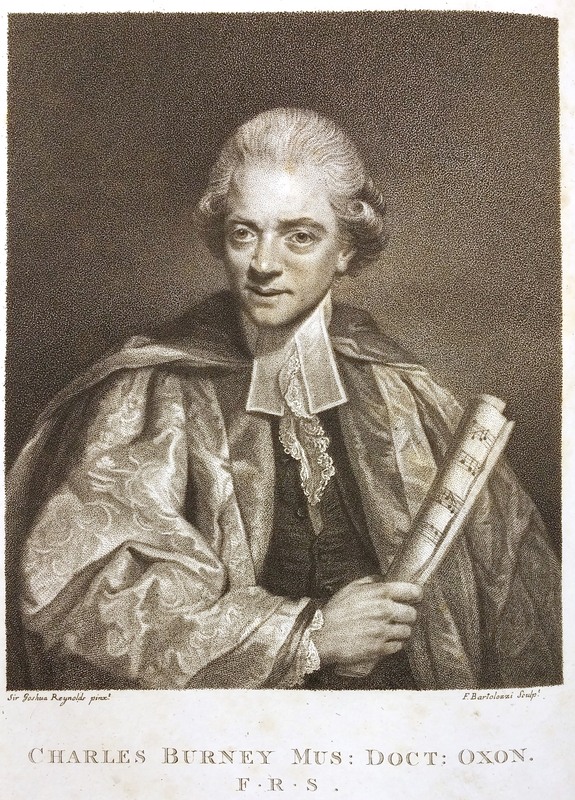 In the 1770s Charles Burney was a music teacher and talented musician, but he harboured ambitions of being recognised as a bona fide man of letters like his heroes Dr. Johnson and Edmund Burke. The symposium’s keynote speaker, Professor Peter Sabor (McGill University) remarked: ‘With the publication of his General History of Music, Burney could transition from Johnson’s fan to his peer.’ Peter also gave us an overview of the creative exchanges between the two men: While Johnson was reading proofs of Burney’s General History of Music, Burney was reading the manuscript and proofs of Johnson’s last work: Lives of the Poets. By the time of Johnson’s death, Charles Burney was high in his estimation, a testament to the inimitable Burney networking skills. An anonymous reader has annotated the volumes with the dates of his/her reading, and with notes drawing attention to passages of particular interest. 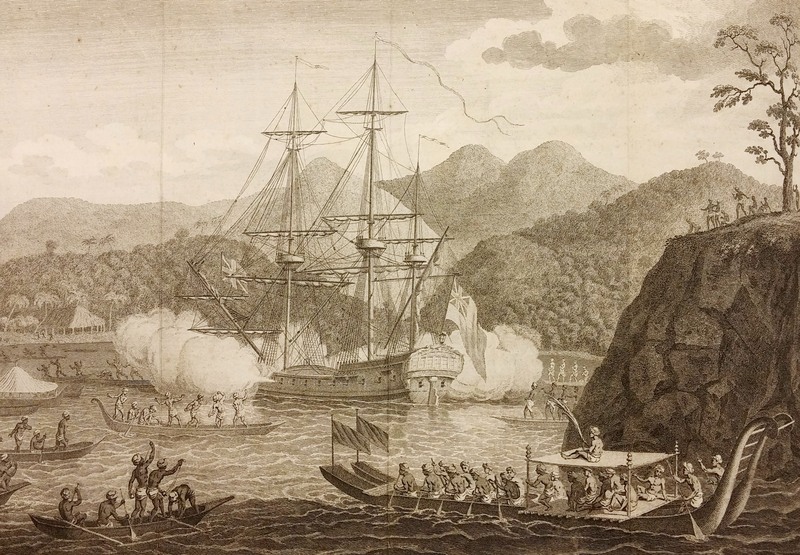 Frances Burney’s elder brother James (1750-1821) had a colourful naval career: he travelled with Captain James Cook (1728-1779) on his last two voyages, and acted as interpreter for the famous Tahitian Mai (c. 1751-1780) when he conducted a tour of England in the 1770s. Several of our papers drew attention to the Burney family’s links, through James and his shipmate Molesworth Phillips (1755-1832), with South Sea culture and with the taxonomic work of the botanical explorers Joseph Banks (1743-1820) and Daniel Solander (1733-1782) (who accompanied Cook on his earlier voyages). Joseph Banks and Daniel Solander, Illustrations of Australian Plants collected in 1770 during Captain Cook’s Voyage round the World in H.M.S Endeavour, by the Right Hon. Sir Joseph Banks, Bart. K.B., P.R.S, and Dr. Daniel Solander, F.R.S., 3 vols (London: Longman & Co. and the British Museum, 1900-1905). Joseph Banks and Daniel Solander were botanists who sailed to Brazil, Tahiti and Australia with Captain Cook on the HMS Endeavour in 1768-1761. They brought back hundreds of specimens of plants then unknown in Britain, which they catalogued and had illustrated for publication. Probably due to Solander’s sudden death in 1782 and Banks’s subsequent loss of interest in the project, their findings were not published for over a hundred years. These folio volumes, published by the British Museum in 1900, contain Solander’s descriptions and beautiful illustrations of the plants, many carried out by artists on board the Endeavour. 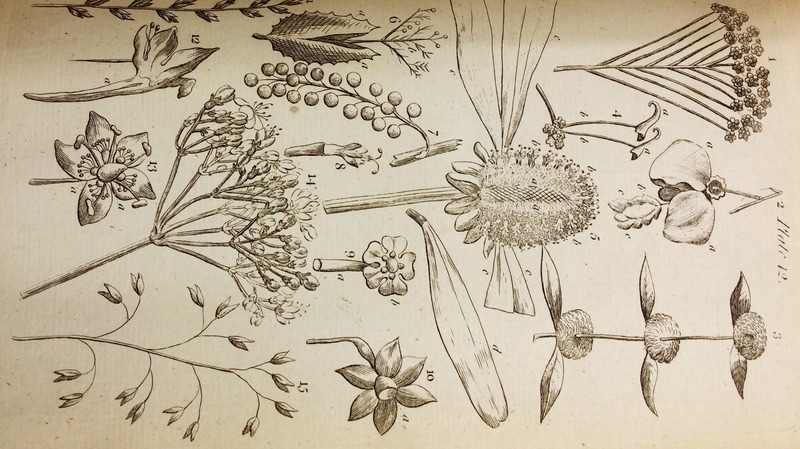 James Lee, Introduction to Botany, (London: S. Crowder et al, fifth edition, 1794). 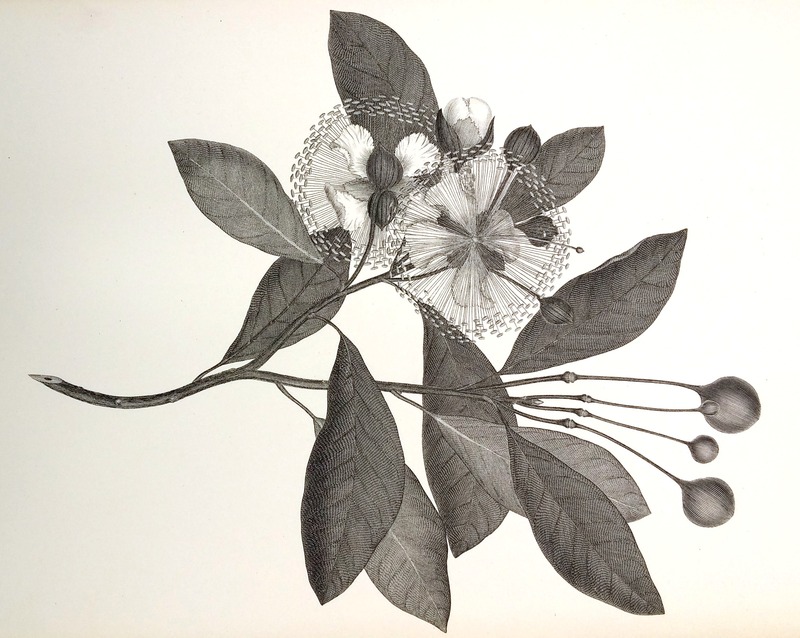 Botanical study was a fashionable hobby in Georgian London, where new discoveries such as those of Banks and Solander attracted intense public interest. The Swedish botanist Carl Linnaeus (1707-1778) had recently developed a new method for classifying and identifying species that was simple to use, and was explained in many popular adaptations such as James Lee’s Introduction to Botany. At the symposium, Sophie Coulombeau (Cardiff University) argued that that botanical handbooks like James Lee’s, and the personal tutelage of Daniel Solander before his death, heavily influence Frances Burney’s theory of ‘character’ in her second novel, Cecilia. John Hawkesworth, Account of the Voyages (London: W. Strahan and T. Cadell, first edition, 1773). In 1773 the writer John Hawkesworth (1715-1773) was commissioned by the Admiralty to publish an authorised account of Captain James Cook’s voyages in the Southern Hemisphere. These beautifully illustrated volumes, which were hugely influential in crafting the public impression in Britain of little-known territories such as Tahiti, were the result. The inscription reads: ‘From the Library of T. Booker Esq, Velindra, near Cardiff, Purchased 1901’. James Cook, A Voyage Towards the South Pole, and round the world 2 vols. (London: W. Strahan and T. Cadell, third edition, 1779). 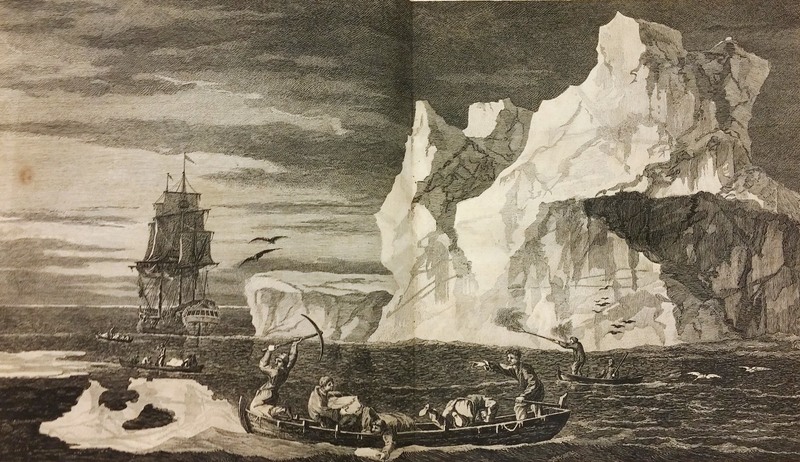 A sort of sequel to Hawkesworth’s work, though this time written by Cook himself, this publication gave an account of Cook’s second major voyage (1772-1775), the first known expedition to cross the Antarctic circle. By the time these volumes appeared, Cook had embarked on his second voyage in the HMS Resolution, which was eventually to end in his gruesome death in Hawaii in 1779. Our latest exhibition is held in collaboration with Romantic Imprints: the 14th International Conference of the British Association for Romantic Studies, Cardiff University, 16-19 July 2015. The exhibition will run until September. Thomas Pennant was a natural historian, antiquarian and prolific travel writer, principally known for his accounts of travelling on foot and horseback through Wales and Scotland in the late 18th century, exploring remote parts previously unknown to many. His naturally gregarious disposition encouraged local inhabitants to speak freely of their habits, customs and superstitions, all of which he documented in as much detail as the route and its scenery. A great believer in the ability of a picture to tell a thousand words, his works were heavily illustrated with engravings, initially sketched by his servant Moses Griffith, who travelled with him. British Romanticism, indeed, if one takes a cue from Wordsworth’s seminal poem ‘Tintern Abbey’. William Gilpin’s Observations on the River Wye (1782), the first British illustrated tour guide, is largely responsible for this. Gilpin popularised the concept of taking boat tours down the Wye Valley, to view its romantic sites and picturesque landscape. Viewing the valley from boats gave rise to ‘picturesque tourism’, which focused on an appreciation of scenery rather than just history or architecture. Gilpin’s book was an instant commercial success, and brought many visitors, including artists, writers and poets to the Wye Valley. Both familiar and unknown, the Wye Valley formed a meeting place of two nations and four counties, an uncanny and unstable border territory shifting with the river’s movements, a place of exile for political radicals, and a subject for many of the period’s most celebrated writers. Three essays: I. On picturesque: beauty; II. On picturesque; travel; III. On the art of sketching landscape. Gilpin’s personal copy of the original holograph manuscript, together with nine original drawing in watercolour, tint, pen, ink and pencil by the author. From the archive of Cyril Brett, Professor of English (1921-36) at University College Cardiff. 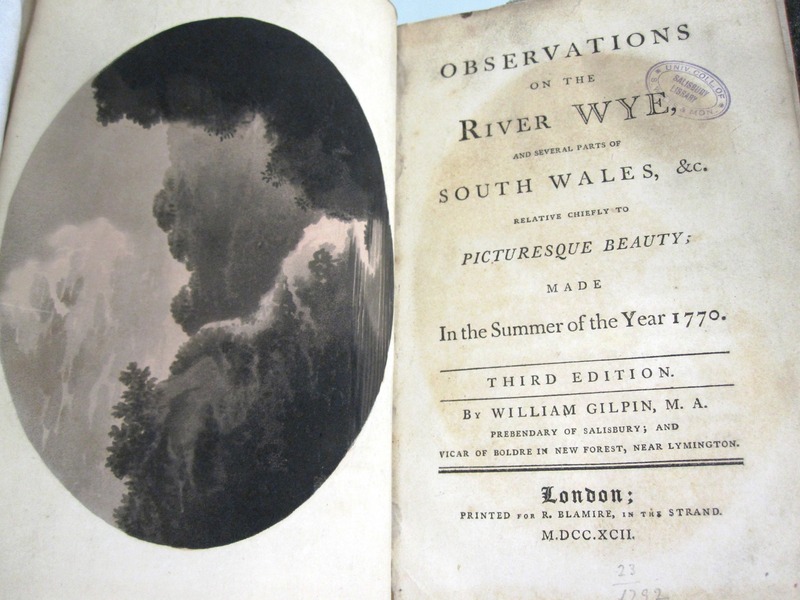 Observations on the River Wye : and several parts of South Wales, &c. relative chiefly to picturesque beauty; made in the summer of the year 1770. Excursion down the Wye from Ross to Monmouth : including historical and descriptive accounts of Wilton and Goodrich castles, also of Court Field, the nursery of King Henry the Fifth; New Wear, and every other object in the voyage. Picturesque views on the river Wye : from its source at Plinlimmon Hill, to its junction with the Severn below Chepstow: with observations on the public buildings, and other works of art, in its vicinity. 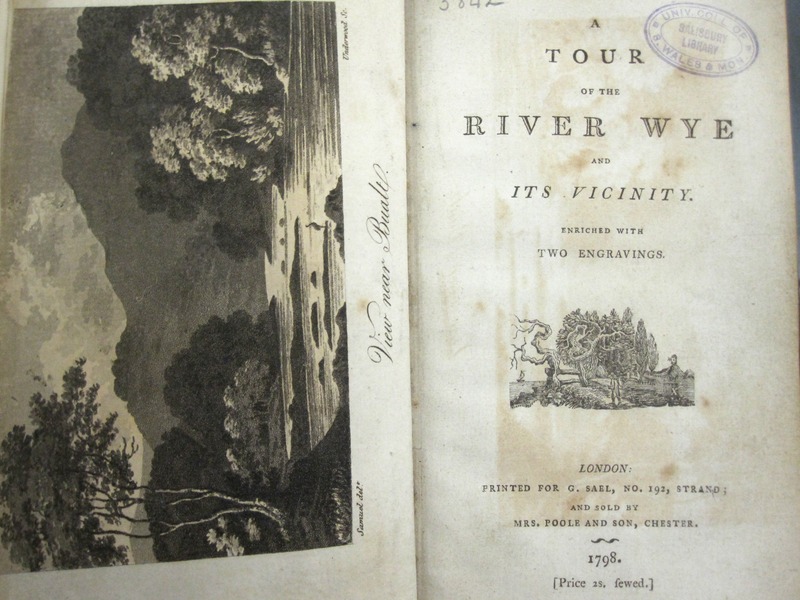 Tour of the River Wye and its vicinity : enriched with two engravings. 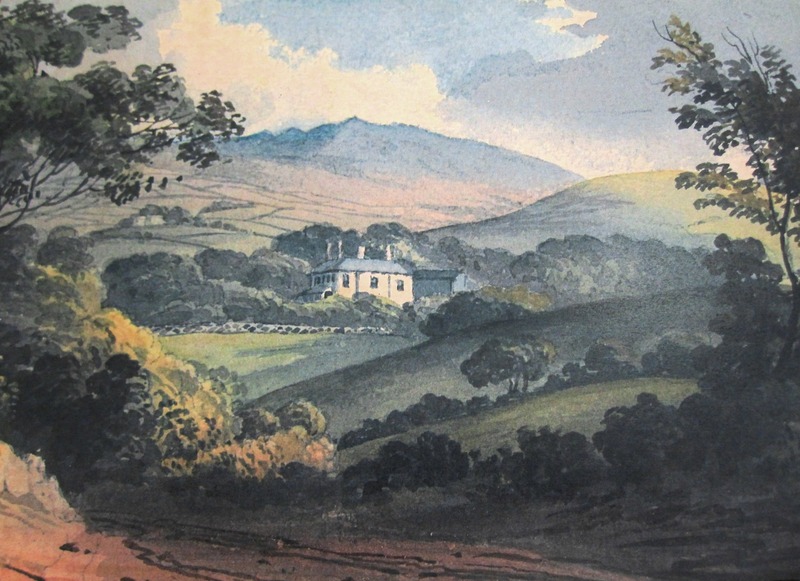 Leigh’s guide to Wales & Monmouthshire : containing observations on the mode of travelling, plans of various tours, sketches of the manners and customs, notices of historical events, a description of every remarkable place, and a minute account of the Wye. Hints to pedestrians : or, how to enjoy a three weeks’ ramble through North and South Wales and along the banks of the Wye / by a Pedestrian. Special Collections and Archives is home to the substantial personal library of the 19th century antiquarian Enoch Salisbury. A native of Flintshire, he was a businessman, politician and privately, a book-collector with a personal mission to collect every book on the subject of Wales, or in Welsh. His eventual bankruptcy led to the collection of some 13,000 volumes being purchased at auction in 1886 by the first incarnation of Cardiff University: the University College of South Wales and Monmouthshire. Salisbury had a particular interest in Welsh topography and antiquities, and tended to buy two copies of illustrated volumes with plates. One would be placed in the library, and the other would have the plates removed, and inserted into dedicated scrapbooks. He also purchased individual prints, sketches and paintings for inclusion. Salisbury kept a dedicated scrapbook for each Welsh county, featuring hundreds of illustrations of its landscape and architecture. This image is thought to be the earliest known depiction of Hafod, Aberystwyth, painted by a visitor who captured the building process, recording the phasing of this important house. It is complemented by a copy of Cumberland’s guidebook and plan of the estate, together with an engraving of the completed Hafod. 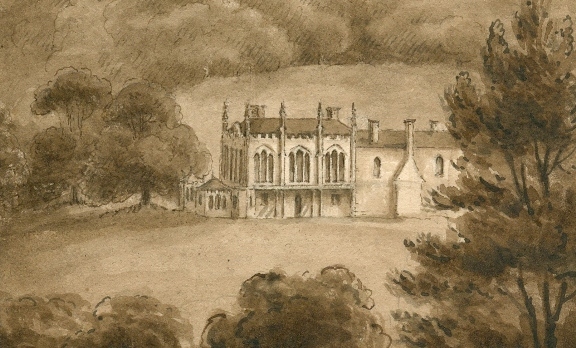 Both pencil sketches are by the artist Julia Mann, who visited South Wales during December 1831. On the left, Oxwich Castle, a Tudor courtyard house, was built by the Mansel family during the sixteenth-century. Their tenancy was short-lived, as the house became a romantic ruin during the 18th century, and a popular destination on the picturesque tourist trail. Manorbier Castle, on the right, was part of this circuit, claiming fame as being the birthplace of Gerald of Wales. The castle survived intact until the Civil War when it was slighted, afterwards becoming derelict. 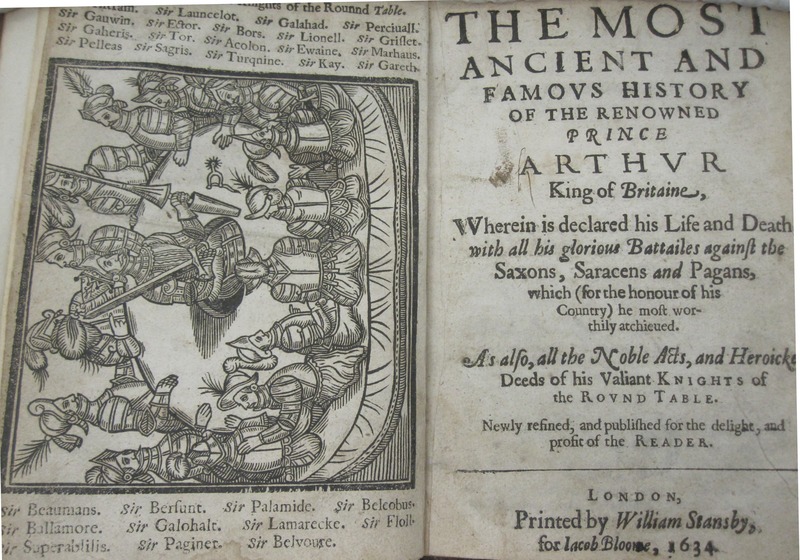 In 1816, the republication of two rival editions of Malory’s Le Morte d’Arthur, out of print since 1634, reawakened interest in Arthur and the medieval romances. Wales was inextricably linked with the Arthur myth; the earliest references to King Arthur come from Wales and its medieval literature, such as the Annales Cambriae, the Black Book of Carmarthen, the Book of Taliesin, and of course, the Mabinogion, in the Red Book of Hergest. The Arthur myth created a touchstone of Celtic nationalism in Cornwall and Wales which resonates to this day. The London printer, Williams Stansby (1572-1638) produced this edition of Malory’s work based on the earlier editions by Wynken de Worde and William Caxton. Stansby’s text appeared in 1634, just before the outbreak of the English Civil War. It remained the only available edition for nearly two hundred years until the revival of interest in Arthurian literature in the 19th century. Most ancient and famous history of the renowned prince Arthur King of Britaine : Wherein is declared his life and death, with all his glorious battailes against the Saxons, Saracens and pagans […] also, all the noble acts, and heroicke deeds of his valiant knights of the Round Table. Sir Thomas Malory, active 15th century. This three volume edition of Malory, edited by the antiquary, Joseph Haslewood, is one of two new editions that appeared in 1816, both based on Stansby’s edition of Caxton. The appearance of these editions heralded the revival of interest in the Arthurian story. Mort d’Arthur : the most ancient and famous history of the renowned Prince Arthur and the knights of the Round Table / by Sir Thos. Malory. 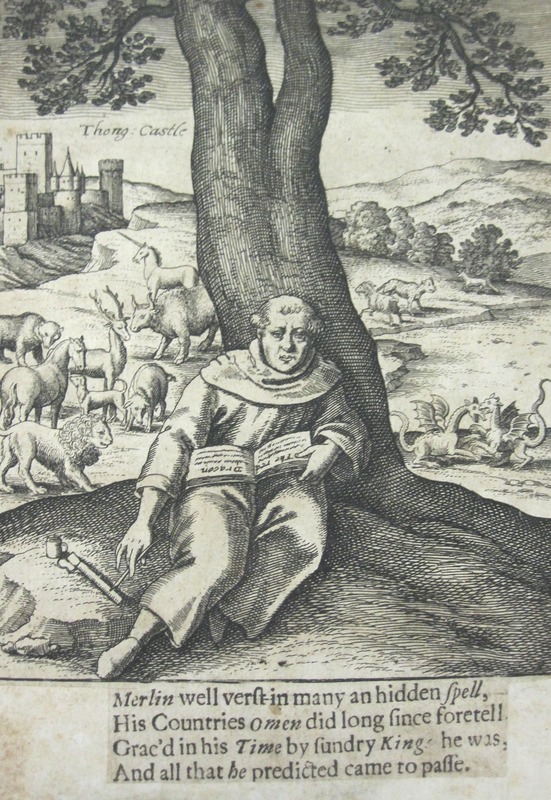 In Thomas Heywood’s 1641 edition of Merlin’s Prophecies, the sage is depicted as a hermit sitting under a tree rather than the powerful sorcerer of modern iconography. However he is still surrounded by images from his mythic history such as the two dragons whose epic fight provided Wales with its flag and with an enduring symbol of national identity. The life of Merlin, sirnamed Ambrosius: his prophesies, and predictions interpreted, and their truth made good by our English annalls: being a chronographicall history of all the kings, and memorable passages of this kingdome, from Brute to the reigne of our royall soveraigne King Charles. This later edition of Merlin’s Prophecies from 1812 was printed at Carmarthen. By then the city was firmly associated with the figure of Merlin, and the place name was interpreted as ‘Caer Myrddin’ or Merlin’s town. The life of Merlin, surnamed Ambrosius: his prophecies and predictions interpreted, and their truth made good by our English annals: being a chronographical history of all the kings and memorable passages of this kingdom, from Brute to the reign of King Charles. Arthur’s Stone, Cefn Bryn, the Gower, is the site of a Neolithic burial tomb. According to legend, Arthur threw this large stone and it landed in this spot. The tradition reflects the reputation of Arthur as a giant and a folk hero, rather than a courtly medieval king. Illustration of Arthur’s Stone (Maen Ceti). This Welsh translation of Merlin’s prophecies derives ultimately from Geoffrey of Monmouth’s Latin work, Historia regum Britanniae (The History of the Kings of Britain). Merlin is taken before King Vortigirn (Brenin Gwrtheyrn) to explain the mystery of the falling tower. Dwy gan o brophwydoliaethau Myrddin : a gymmerwyd allan o “Lyfr y daroganau”. Hefyd, hanes, o’r modd y daeth Myrddin i fod yn adnabyddus i’r brenin Gwrtheyrn, mab-y’nghyfraith Hengyst. Selection of Welsh melodies : with symphonies and accompaniments / by John Parry; and characteristic words by Mrs. Hemans. Philosophical enquiry into the origin of our ideas of the sublime and beautiful. 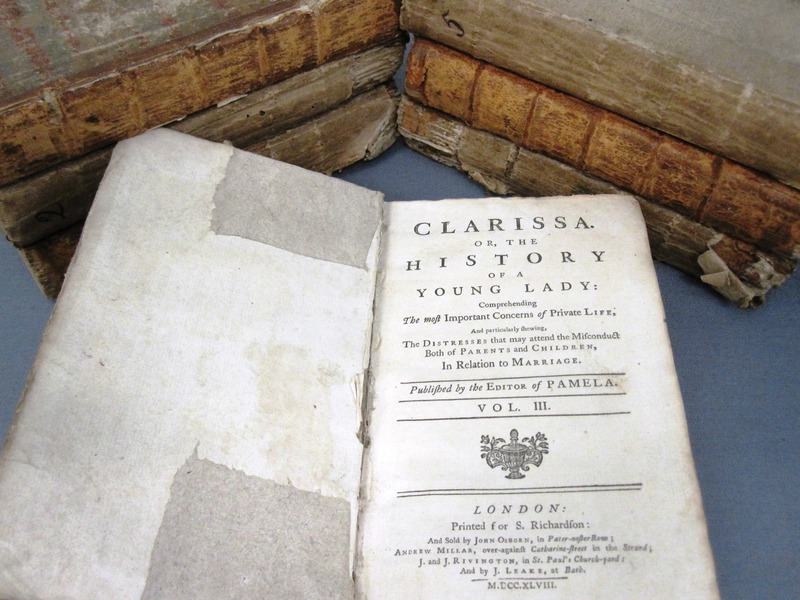 Clarissa; or, the history of a young lady. Comprehending the most important concerns of private life. And particularly shewing the distresses that may attend the misconduct both of parents and children, in relation to marriage. Ellen, countess o f Castle Howel : a novel. The Stranger : or, Llewellyn family ; a Cambrian tale. Gwelygordd; or, The child of sin. A tale of Welsh origin. Edward Williams (1747-1826) remains better known by his bardic name, Iolo Morganwg, whose romantic image of Wales and its past greatly influenced Wales’ national identity. A prolific poet, radical and polymath, his interests ranged from druidism, folklore, antiquities, architecture, agriculture, geology, language and dialect. Following his death it was discovered that many of his collected manuscripts, which featured evidence of druidic practices in Wales, and observations on mystical and metaphysical philosophy, were in fact his own forgeries. 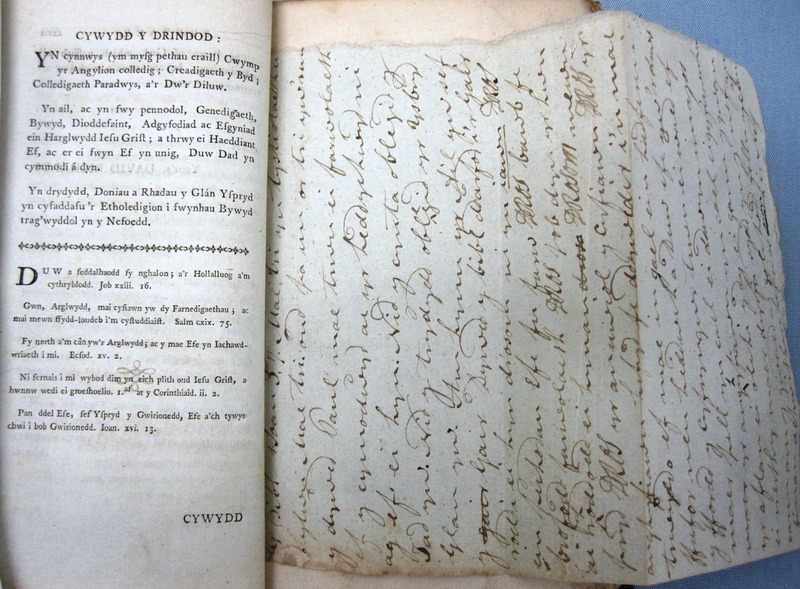 The Salisbury Library in Special Collections and Archives holds a number of books formerly owned by Iolo Morganwg, annotated in his own hand. Inscribed by Iolo Morganwg to his daughter: “Ann Matthews Williams, Her Book’. 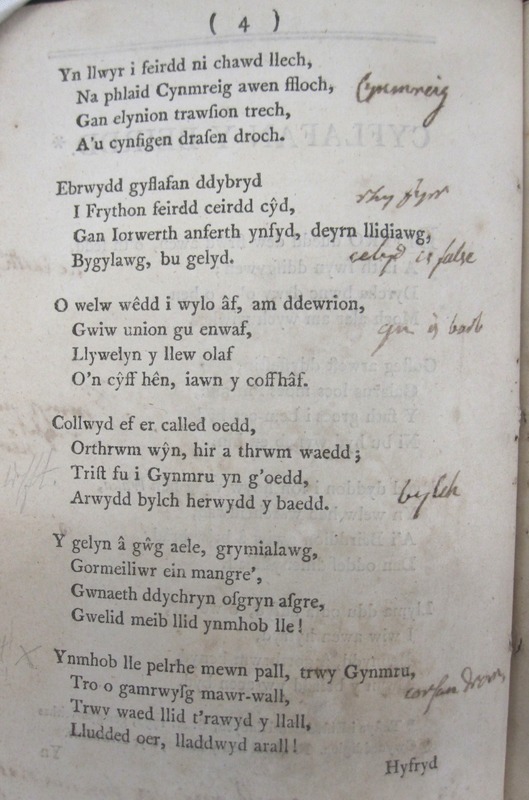 The copy is heavily annotated throughout in various contemporary and later hands, including Iolo Morganwg’s. Awdyl ar dymhorau y vlwyzyn. Halsing, neu gan newydd ar ddydd Natalic. Cyflafan y beirdd : awdl. 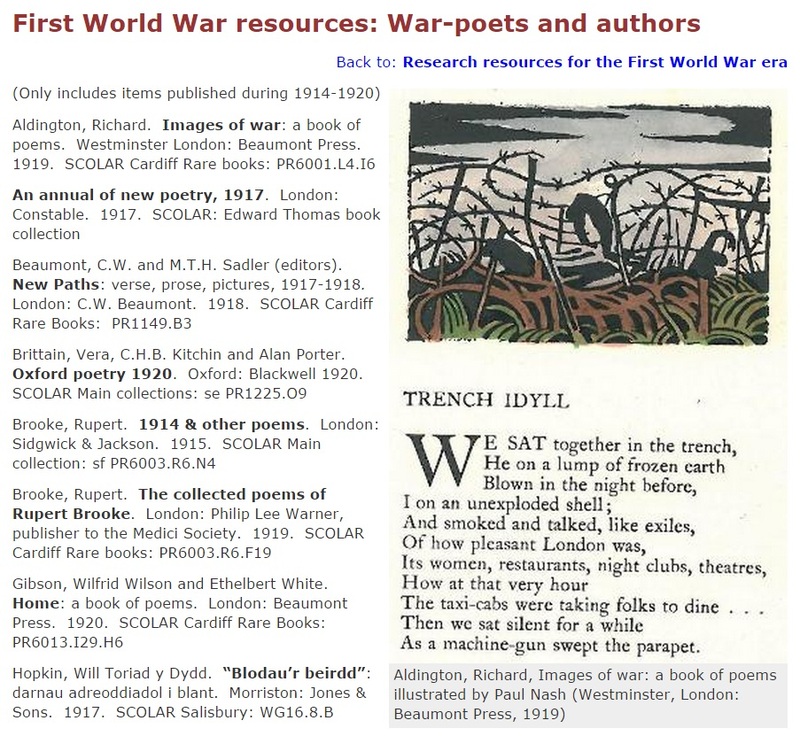 Special Collections and Archives has launched its new Resource Guide for the First World War era. While the library’s circulating book collections relating to the First World War cover about 10 shelves, in Special Collections and Archives we have another 10 shelf metres of contemporaneous reference sources: printed, ephemeral, and archival material produced in the period 1914-1920. So far this is an untapped resource by students, and most academic staff, and we’re keen to promote this material for both undergraduate and postgraduate work. 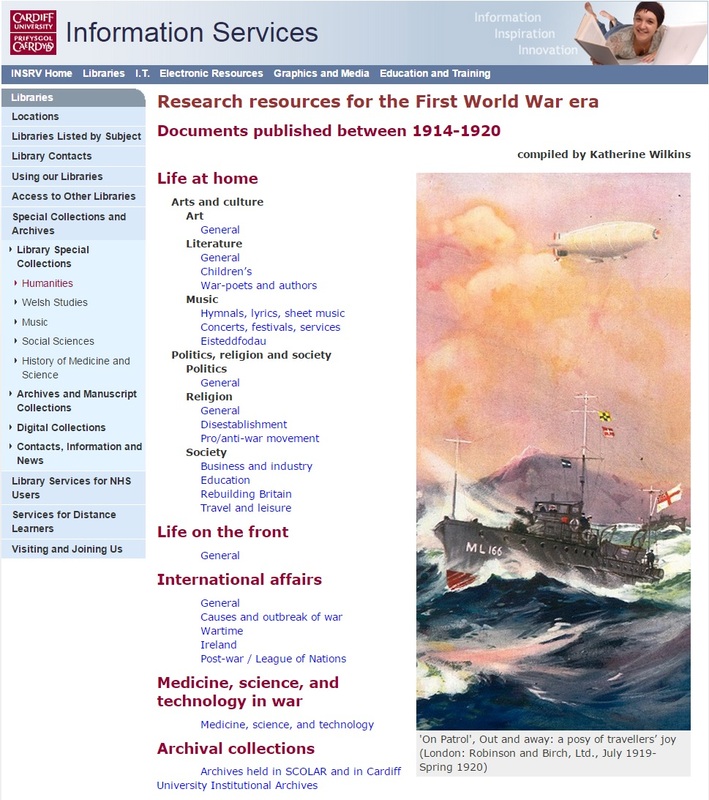 We estimate we have over 3,000 items in the Library’s collections from the period 1914-1920; we have selected around 700 for the guide which are focused on the War itself. Many sources showing what life was like on the ‘home front’ during the war period. Hopefully, from these original and contemporaneous sources, students will get an enhanced perspective on the War, getting a flavour from contemporary sources of how people thought, felt, and reacted in that difficult time. 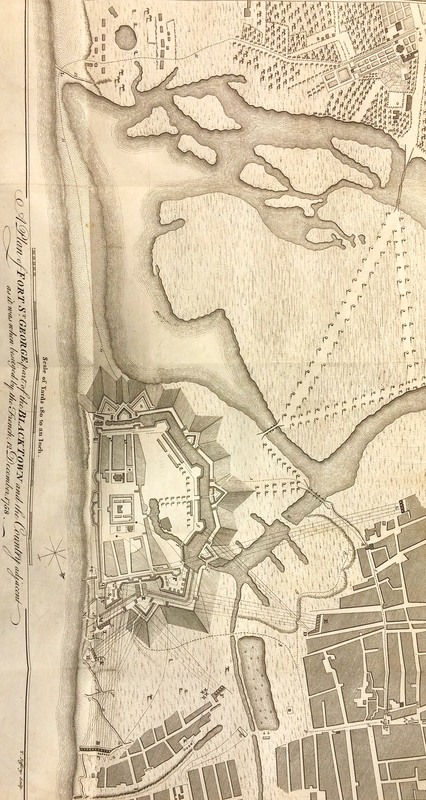 Special Collections and Archives staff received extensive help from a volunteer, an American librarian in Cardiff, to produce the eventual guide, and we are grateful to Katherine Wilkins for her assistance. The Resource Guide features on the Imperial War Museum’s guide to events, exhibitions, projects and activities. Find out more at www.1914.org. Special Collections and Archives’ series of lunchtime workshops continues in December with sessions on women’s history and gender studies sources. The workshops are intended to raise awareness of the breadth of material available to support research in this area, and as a general introduction to using Special Collections and Archives. The second workshop on women’s history sources will be led by Assistant Archivist, Alison Harvey. Topics will include: biography; children’s literature; conduct/advice manuals; crime; diaries and autobiographies; education; fashion; health and medicine; international affairs; journals and magazines; literature and journalism; music; newspapers; politics, suffrage and the labour movement; travel; University history; witchcraft; and women’s societies. Workshops will be held in Special Collections and Archives, on the lower ground floor of the Arts and Social Studies Library, Corbett Road, Cardiff. The women’s history workshop is scheduled for 12-1pm on Thursday 6 December, and will be repeated at 1-2pm on Friday 7 December. Workshops are open to all, but places are limited, so if you would like to attend either session, please email HarveyAE@cf.ac.uk, stating your preferred time.